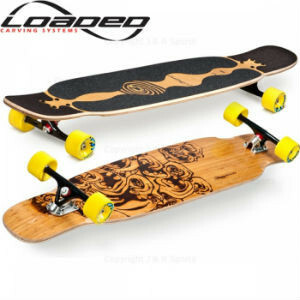 Loaded longboards are manufactured in California and are ideal for carving, freeriding and dancing. 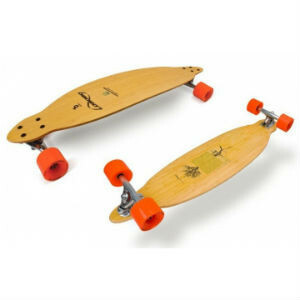 Loaded also produce Orangatang wheels and sliding gloves. 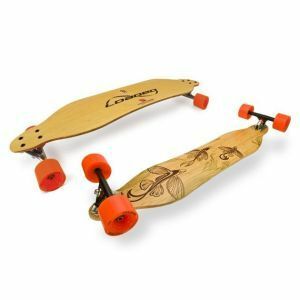 Loaded currently manufacture the Vanguard, Dervish Sama, Fattail, Bhangra, Tan Tien, Chubby Unicorn, Kanthaka, Poke and the Tesserract. 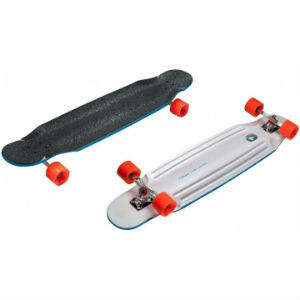 This board has a symmetrical shape and stance for a balanced centre of gravity, which allows you to weight and unweight the deck through turns for control and efficient energy generation. 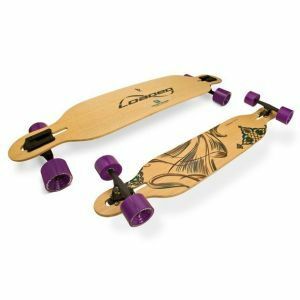 PreLoaded with concave and camber, and Loaded with the best components available, this convergence of skateboard and snowboard construction results in a dynamically Loaded, flexible and highly tuned board. 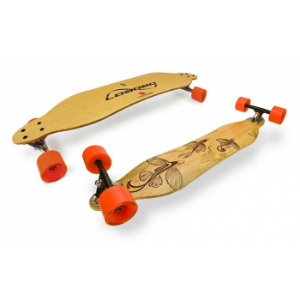 The cores on all our cambered / concave boards are exclusively vert lam Bamboo. Increased energy return results in an even more dynamic ride. These cores are significantly stronger and more durable than our old oak cores. To celebrate the Vanguard Bamboo, we worked with artist Travis Parr to create a design reflecting the flow of the ride and the innovative spirit of the Vanguard. Our art director, Jan Michael Bennet worked his magic on Parrâs design – arriving at what you see here. 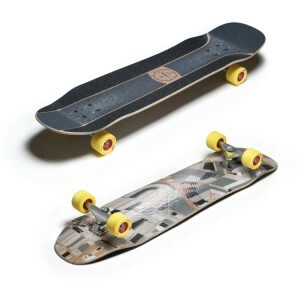 We hope you like it, but for Loaded it’s the ride that counts. 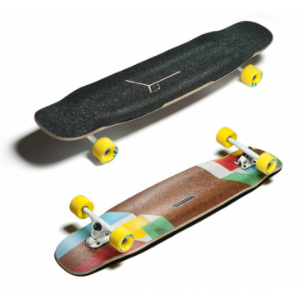 To compliment your riding style Loaded is available in a number of set up options for the ultimate customised ride as well as decks which are graded for rider weight and performance.